Naomi Finley has read 15 of 30 books. Naomi Finley read 62 books of her goal of 25! Naomi is a bestselling and award-winning author living in Northern Alberta. She loves to travel and her suitcase is always on standby awaiting her next adventure. Naomi's affinity for the Deep South and its history was cultivated during her childhood living in a Tennessee plantation house with six sisters. Her fascination with history and the resiliency of the human spirit to overcome obstacles are major inspirations for her writing and she is passionately devoted to creativity. In addition to writing fiction, her interests include interior design, cooking new recipes, and hosting dinner parties. Naomi is married to her high school sweetheart and she has two teenage children and two dogs named Ginger and Snaps. When I decided Naomi is a bestselling and award-winning author living in Northern Alberta. She loves to travel and her suitcase is always on standby awaiting her next adventure. Naomi's affinity for the Deep South and its history was cultivated during her childhood living in a Tennessee plantation house with six sisters. Her fascination with history and the resiliency of the human spirit to overcome obstacles are major inspirations for her writing and she is passionately devoted to creativity. 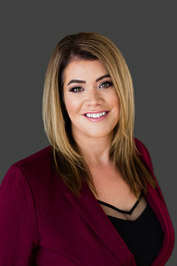 In addition to writing fiction, her interests include interior design, cooking new recipes, and hosting dinner parties. Naomi is married to her high school sweetheart and she has two teenage children and two dogs named Ginger and Snaps. 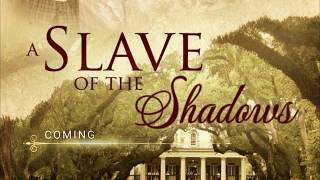 When I decided to write my series A Slave of the Shadows, it started from my interest in the antebellum era because many aspects of it were reflected in my childhood. Though I've studied the antebellum era of US history thoroughly, I certainly don't claim to know every detail and I strive to learn more each day. Over the years, I've visited many plantations and museums across America. I’ve found my visits to be informative and inspirational, but I derive most of the information for my stories from historical books, documents, and maps. Educating yourself by wading through a mass of records can be daunting, especially with so many gray areas and years where documents seem to contradict one another. Before I started developing characters and plotting A Slave of the Shadows, I visited Charleston, South Carolina. 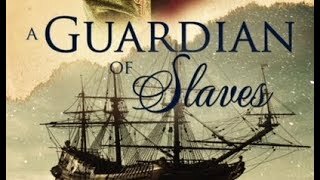 It was at this point I began contemplating if my protagonist Willow would be a plausible main character against a background where the barbaric slave trade was a thriving business in the South. However, it was during this trip I learned of the valiant Grimké Sisters. These two white women were raised in Charleston during the height of the slave trade, and they openly protested cruelties they witnessed against blacks. As a result, they became advocates for abolition and women’s rights. Their bravery in taking a stand against injustice when females didn't have a voice or position of power, ultimately inspired me to pursue my character development of Willow. This courageous account of the Grimké sisters affirmed my dream of painting Willow as I first envisioned her. From our vantage point, there is a danger in looking at the negative exploits of the past and generalizing the actions of its participants. It is essential when painting the portrait of an era to shed truth on the dynamic nature of all people involved. My job as a historical fiction writer is to depict a time period with unbiased accuracy and authenticity as much as possible based on documents and records. So, I must find a balance in weaving historical data into a tale while still intriguing and connecting with my readers. I love history, but I don’t want my audience to feel like they're in a history class when they read one of my books or novellas. The beauty of being an author is the freedom to craft stories within a historical context that keeps people turning the pages. These are the stories I gravitate to myself, and I want to share the same experience with my audience. To ask Naomi Finley questions, please sign up. Lift the veil of legend for the untold story of Makeda, the Queen of Sheba, and Bathsheba, wife and mother of Israelís first kings. We’d love your help. Let us know what’s wrong with this preview of The Life She Was Given by Ellen Marie Wiseman. We’d love your help. Let us know what’s wrong with this preview of The Listeners by Gloria Whelan.